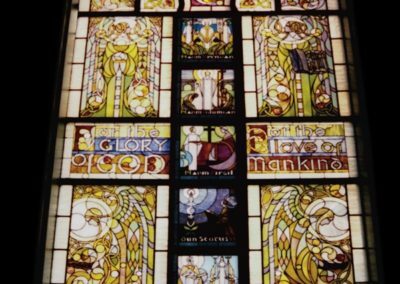 To conserve the extraordinary Celtic windows created by Thomas O’Shaughnessy between 1912 and 1922 for Old St. Patrick’s Church, Chicago, Illinois. 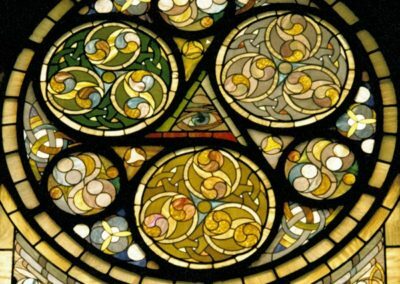 The stained glass in the nave was inspired by Ireland’s famous Book of Kells (circa 800 A.D.), while the eastern façade design work reflects the turn-of-the-century art nouveau style. The windows were examined and documented, both in place and in the Studio via photographs, written observations and rubbings. The panels were dismantled for repairs and reassembled in the original manner, using copper channel and copper foil. 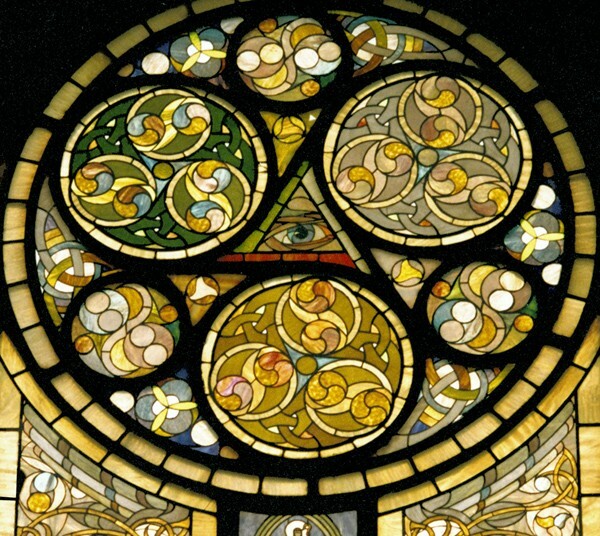 Cracked pieces of glass were rejoined using color-tinted conservation epoxy. 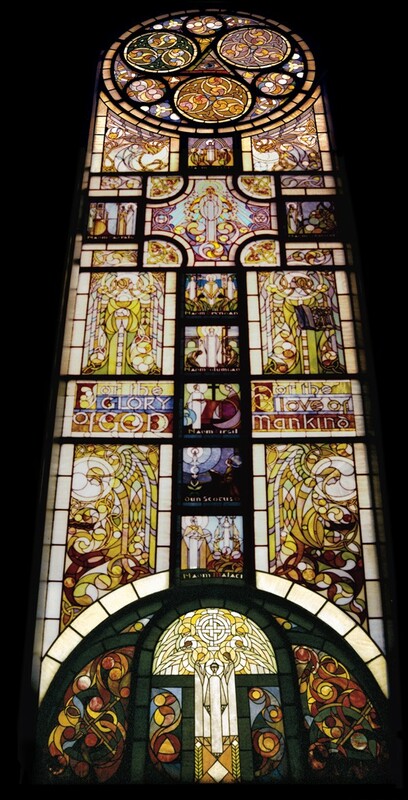 The windows were reinstalled by CSS, along with vented, safety-laminate protective glazing on the exterior. Thomas O’Shaughnessy’s masterpieces have been restored to their original beauty and integrity.